I love coffee, coffee and coffee. What I love even more is to make rich, flavorful coffee house coffee at my home! Ozeri Deluxe Milk Frother makes that so easy and fun! 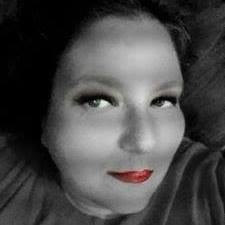 It comes ready with it's very own batteries. I love when that happens, ready to use right out of the box? Yes please! It has a nice hand feel-not to heavy not to light-just right. It is easy to operate with just the push of the button located on the top of the unit. It does not take much pressure to turn on the unit. You will have light frothy milk in no time with this. I have also used it for eggs also. It's also easy clean-up and storage since it comes with it's own stand. I love the stand because I do not have to worry about the whisk becoming damaged. It's small but very powerful-all you need to get the job done! My kids also love to use this with their hot chocolate and chocolate milk. It really helps to incorporate the powders into the milk for a more smooth and creamy drink. This would make an excellent gift for the coffee lover in your life! The Ozeri Stainless Steel Milk Frother, Whisk and Frothing Pitcher Set provides everything needed to whip up and serve delicious and picture perfect frothy foam in as little as 10 seconds. Petite yet powerful, the Ozeri Milk Frother is perfect for steam-free cappuccinos, lattes, espressos, hot chocolates, shakes, frappes and other milky drinks. The Ozeri Frothing Set includes an elegant 12 oz (350 ml) Frothing Pitcher made of 304 high-quality Stainless Steel that features a forged pouring spout and sturdy handle. The powerful motor in the Ozeri Milk Frother spins at over 15,000 RPMs and activates instantly with results in 10 to 20 seconds. 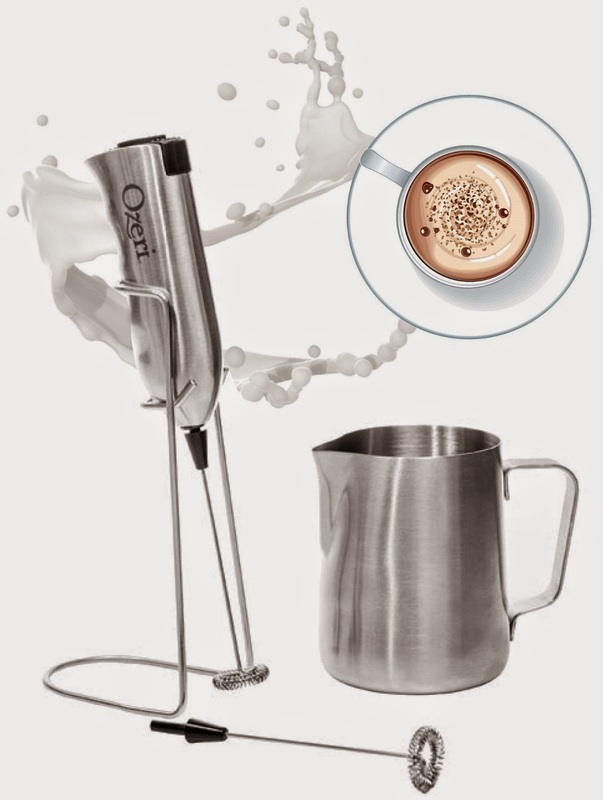 The Ozeri Milk Frother foams all kinds of milk (whole/regular/skim milk, soy milk, almond milk and coconut milk) alike for fluffy hot café lattes or cold chocolate malts in seconds. The Ozeri Stainless Steel Milk Frothing Set is made of food and drink-safe materials, and ships with the electric frother, stand, extra frothing attachment, pitcher and 2 AA batteries. Your satisfaction is guaranteed. Whips up delicious and picture perfect foam in as little as 10 seconds. Perfect for steam-free cappuccinos, lattes, espressos, hot chocolates, shakes, frappes and other drinks. Includes an elegant 12 oz (350 ml) Frothing Pitcher made of 304 high-quality Stainless Steel. Froths all kinds of milk (whole/regular/skim milk, soy milk, almond milk and coconut milk) alike for fluffy hot café lattes or cold chocolate malts in seconds.